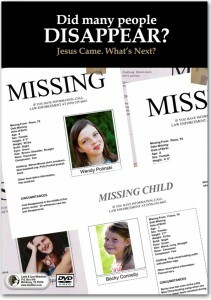 Do you have loved ones you know will be left behind after the Rapture? Use this video as your own “left behind” message to explain to your loved ones why the disappearances happened. To order, call 1-800-705-8316 (M-F, 8 a.m.-5 p.m. CST), or order online. Further details on life during the Tribulation. They sit with Jesus now in Heaven at a great banquet called the “Marriage Supper of the Lamb” (Revelation 19). They will live in great joy and know no sorrow. They will be with their King and live in love forever. They are well taken care of, and you don’t have to worry about them. 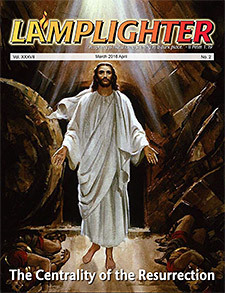 Jesus’ return for all His true believers was just a prelude to His final Second Coming. The second phase of Jesus’ return is to set up His Kingdom on earth. Jesus’ Kingdom is why this whole thing is happening. You see, we have come to the end of one age and will soon be beginning the age of Jesus’ glorious reign right here on earth. But first, God has to deal with rebellion — sin — before setting up His Kingdom. God’s going to use this intermediate time period you now live in to pour out His wrath on mankind for its continued refusal to accept His Lordship. The time you live in is called the Tribulation. What is the Tribulation all about? The unparalleled horror of the Tribulation is spelled out in detail in both the Hebrew Scriptures and the New Testament. Isaiah wrote that it will be a day of “the terror of the Lord” when “the pride of men will be abased” (Isaiah 2:10,17,19). Zephaniah proclaimed that it will be a “day of wrath,” “a day of trouble and distress,” and “a day of destruction and desolation.” Men will stumble around like they are blind and “their blood will be poured out like dust” (Zephaniah 1:15,17). This dreary picture is echoed in the New Testament. Jesus said it will be a time of tribulation “such as has not occurred since the beginning of the world until now, nor ever shall.” In fact, Jesus said it will be so terrible that if it were not stopped at the end of seven years, it would result in the destruction of all life (Matthew 24:21-22). But, God is also a God of justice. The Bible also says in John 3:36, “He who believes in the Son has eternal life; but he who does not obey the Son will not see life, but the wrath of God abides on him.” It is God’s very nature to love, but also in love to see justice done for evil. So, what comes next? For starters, people are going to try to explain away the Rapture with all sorts of wild theories, like possibly Global Warming or UFOs. So-called “Christian” leaders are going to come out and say the Church is still around because they didn’t disappear. Jesus said in Matthew 24:24 that they cannot be believed, for the times will be filled with false religious teachers. The greatest of these false teachers the Bible calls the False Prophet, and he will seemingly be able to do many miracles and will promote a one-world religion and leader (Revelation 13:11). Amid all the chaos from the Rapture, the Bible teaches that the world will turn to a dynamic leader to bring order and peace (Revelation 6:1-2). He will succeed where no other person has been able in establishing a peace treaty for Israel (Daniel 9:27). That treaty marks the official beginning of the 7 years that the Tribulation will last. But, the world leader, known to believers in Jesus as the Antichrist, is anything but peaceful. He will plunge the planet into nuclear world war, resulting in terrible famines, pestilence and mass death. Violence, disease and starvation will be a way of life. A quarter of the world population — almost 2 billion people — will die from this war (Revelation 6). In Jerusalem, 2 men will appear and preach there for 3 1/2 years that Jesus is the Messiah the Jews have been looking for (Revelation 11:3). 144,000 Jews will call Jesus their Messiah and also preach about Him throughout the whole world. Millions will accept Jesus as their Savior — hopefully you will be one of them. But, many of those millions of believers will be killed by the Antichrist for not pledging their loyalty to him by receiving his mark on either their right hand or forehead. The persecution of believers in Jesus will be awful in the Tribulation (Daniel 7:21; Revelation 7). Next, the greatest earthquake the world has yet experienced will devastate the planet (Revelation 6:12-14). Something falling from space will then burn up a third of all the world’s vegetation. A second item from space, probably a meteor, will crash into the ocean and annihilate a third of the world’s marine life and ships. A third object from space will taint the world’s water supply, poisoning millions (Revelation 8:7-11). The devastation to the atmosphere will block out most of the sun and moonlight so that the days appear shorter (Revelation 8:12). Next, some supernatural “woes” will befall mankind. First, the holding place for a demonic hoard is opened and millions of locust-looking demons pour out and sting people like scorpions. The pain will last 5 whole months. Second, 200 million riders on horse-creatures will burn and impale, wiping out a remaining third of the people (Revelation 9:1-19). Three and a half years into the Tribulation will see the 2 men witnessing in Jerusalem killed, but 3 1/2 days later come back to life (Revelation 11:7-12). It will also see the Antichrist supposedly killed and appear to come back to life as well (Revelation 13:3). And that’s just the first half of the Tribulation. As bad as the first half of the seven years is, the next half is even worse (Revelation 16). Those who take the Antichrist’s loyalty mark on their hand or forehead will suffer from painful boils. Those who don’t take the mark will be cut off from commerce and hunted down, but the Bible assures (Revelation 20:4-6) that those who take the mark have made a decision that will last forever — eternal damnation — so don’t take it! The oceans and everything in them are totally destroyed, as well as all the fresh water. The heat from the sun will become scorching. The Antichrist’s kingdom will fall into pitch darkness. An even greater earthquake than the one 7 years earlier will flatten the earth and 100 pound hailstones will crush the inhabitants. The Euphrates River in Iraq will dry up and a massive army from the East will cross and enter the Valley of Armageddon in Israel to fight the Antichrist’s army. This is what the Book of Revelation calls the battle of Armageddon. 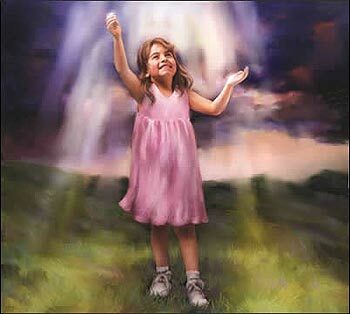 It is the moment that Jesus will gloriously return with all those who disappeared in the Rapture. Jesus Himself by just speaking will destroy the armies at Armageddon. Jesus will throw the Antichrist and the False Prophet into Hell, and Satan into a deep pit. Jesus will be victorious and all who continued to rebel will be put to death — all of them (Revelation 19:11-21; 20:1-3). This is the Tribulation — the wrath of God. Now, you may be asking “God, why didn’t you tell us all this before the Rapture so we could get ready.” Well, He did. The Bible clearly teaches that God never pours out His wrath without warning for He is a just and loving God who does not wish that any should perish. That is why God provided the Bible, the Good News about Jesus spreading across the planet, and the many signs alerting us to the fact that we were living on the threshold of the Tribulation and soon return of Jesus Christ. God gave the world every possible chance for 2000 years to repent of its rebellion and return to Him. But, it’s not too late for you to be with Jesus unless you’ve taken the mark. You see, this story has a happy ending. Jesus’ return at the end of the Tribulation means great joy to those who love him. Jesus will cleanse the world of evil and the damages from His wrath and restore the planet to pristine condition. Jesus will rule from Jerusalem over those who throughout human history have put their faith and trust in Him (Revelation 20:4-6,9). Remember Jesus’ promise in John 3:16, “For God so loved the world that He gave His one and only Son, that whosoever believes in Him should not perish, but have eternal life.” Pray now for forgiveness for your sins and ask Jesus to be the Savior and Lord of your life. Don’t delay! In what little time you have in this life, get a Bible or download one from Bible.org, so you know God’s will for your life. 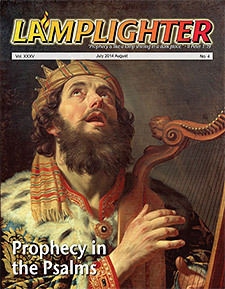 Download this and everything you can from our website at christinprophecy.org or others like raptureready.com so you can know more about Jesus and what is in store for you in the Tribulation and the glorious return of Jesus. Gather quickly with others who have accepted Jesus as Savior for support and to worship together.